Shaving, beard trimming, and even hairstyling have carried cultural meaning for men for centuries. Egyptian murals depict men with full beards, scraping their hair away in early times with crude items such as stone, flint and even clamshells. Men later began to shave their beards to avoid being grabbed in the face during battle. As shaving spread through the world, men of unshaven societies became known as “barbarians” meaning the “unbarbered.” Years later, the service for a shave became what we know today as barbering. 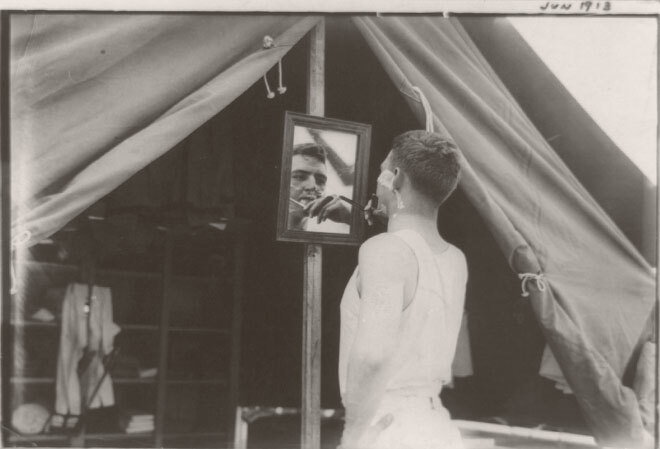 A cadet shaves in front a tent at West Point, circa 1913. Image credit: Library of Congress. According to veteran barber Bobby Rutlledge, barbering was performed as far back as 296 B.C. in Rome, where men could get anything from a cut and shave to tooth extractions, but also provided a social forum for discussing daily news and political issues. The custom continues for people all over the world and we’re seeing resurgence in barbershops now more than ever. In speaking with several experts and barbers across the globe, there is one thing that seems unanimous: men are showing a newfound appreciation for authenticity when it comes to grooming. Dr. Allan Peterkin, Dove Men+Care Face Range expert and author of several men’s grooming books including One Thousand Beards, states, “Modern men take care of their bodies and they now feel comfortable taking care of their faces. This means getting expert advice from their barbers and getting pampered from time with a straight-razor shave.” The barbershop is the only place exclusive to men where you can find this true, classic treatment. It’s tradition, not a trend. BARBER in Amsterdam. Image courtesy of BARBER. 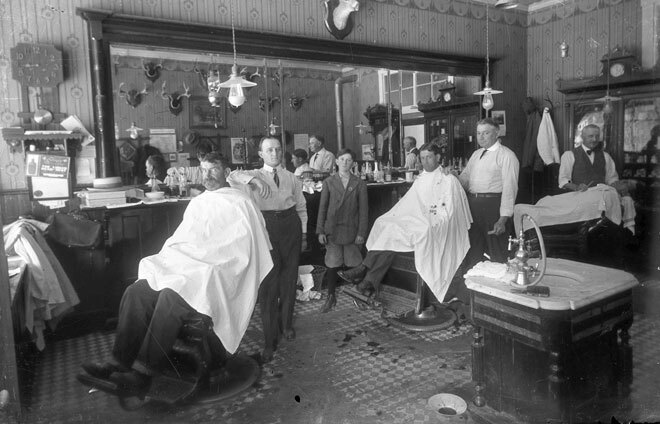 A classic American barbershop, circa early 1900s. 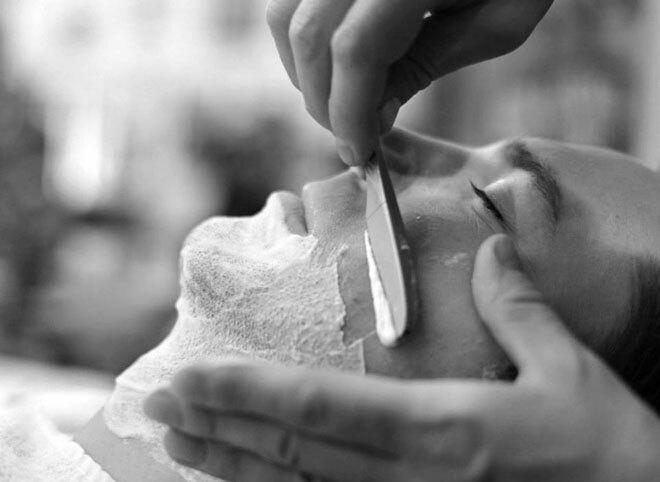 A professional shave is possibly one the most self-pampering acts a man can indulge in. 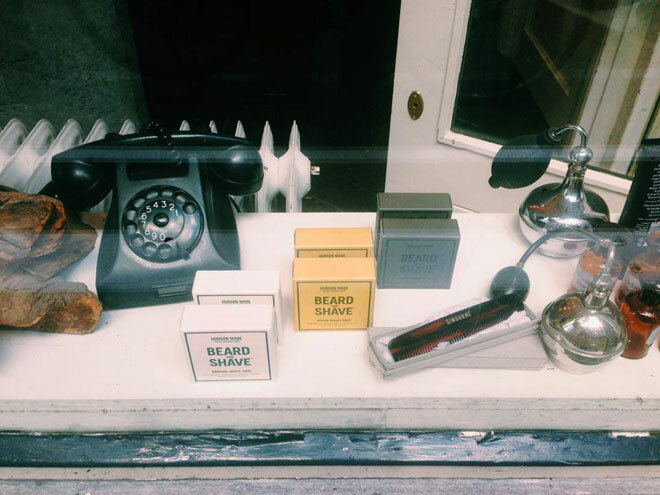 “Men are showing a large interest in straight razor or safety razor shaving,” states Kristopik. 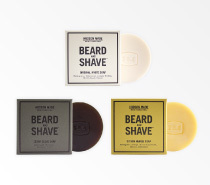 “Customers are asking where they can get these razors and how to go about it at home. It’s a way to take your time and really get a precise shave.” And with the resurgence of the barbershop experience, it’s only natural that new trends and techniques follow suit. In this digital age of social media—it’s that much easier to share and seek out styles for shaving techniques, which have surfaced on sites such as Ape to Gentleman and Life’d. A man receives a straight razor shave at Chicago’s Belmont Barbershop. 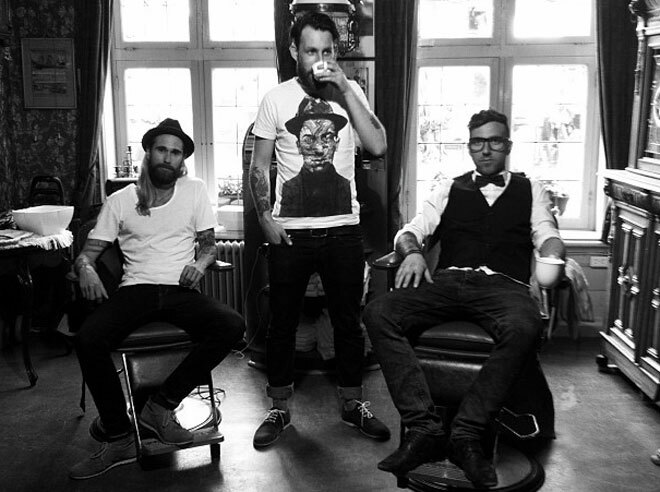 Image courtesy of The Belmont Barbershop. Whether it’s a little scruff, or a full-on beard, there’s one rule of thumb every guy should know prior to executing a clean shave. Make sure you soften the hair before applying product or any type of blade. If you can’t get the pampered hot-towel treatment at a shop, the easiest way is with hot water, thus making for an efficient swipe once the blade passes a stroke. Details says it best, “shave in the shower or immediately after one. Steam is the key—it opens pores, which in turn causes whiskers to rise so they’re easier to lop off. If the bathroom mirror hasn’t fogged up, the shower isn’t hot enough.” Depending how deep of a regimen to follow next is up to the individual’s skin sensitivity and the amount of time one wants to spend. However, it’s always imperative you begin shaving with a well-cleansed face. 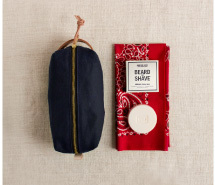 Hudson Made’s Beard & Shave Soap for sale at BARBER in Amsterdam. Image courtesy of BARBER. Above all, a good clean shave requires you to take your time and pay attention to the details. And that’s anything but barbaric. 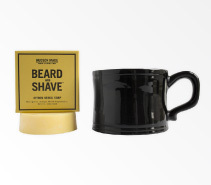 Upgrade your shaving routine with these products from Hudson Made.